Join Europe's top e-commerce startup and help find the very best independent boutiques in your local city. 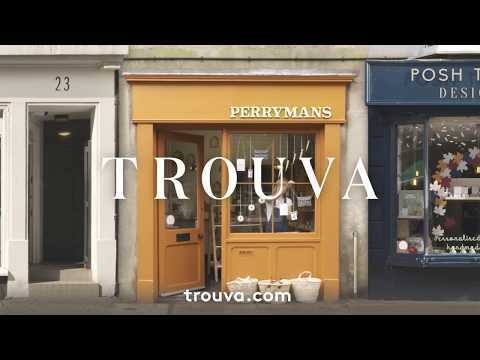 "Trouva is the marketplace for independent boutiques and Europe’s top e-commerce startup (we’ve got the trophy to prove it). We are anti-chain and anti-same; we stand against the uniform and the ubiquitous. We exist to inspire, and we champion independence. Our vision? A thriving global community of independent shops and shoppers united by their passion for unique products." "We’re lucky enough to have incredible VC backers whose successes include Dropbox, ASOS, Secret Escapes & Facebook (Octopus Ventures, Index Ventures, BGF & LocalGlobe), and Angel investors including current/former Directors of Farfetch, JustEat, Net-a-Porter, Google & Deliveroo. We are proud to be a tech start-up building the offline to online platform for bricks and mortar shops, handling inventory management, merchandising, AI-led recommendations, and logistics, to offer an even better service than the online giants - with instant click & collect, worldwide shipping and 1 hour delivery (our quickest was in just 22 minutes!). We’ve been covered everywhere from Vogue to TechCrunch and have been recognised by the likes of Maserati 100, the UK's Future Fifty, Forbes 30 Under 30 and are one of Wired's "Europe's 100 Hottest Startups" 2018! We’re growing incredibly fast - one the 5 fastest in the UK (The Next Web Tech5) - and are looking for exceptional people who want to be part of the next big thing, joining a team with experience from HelloFresh, Notonthehighstreet, Entrepreneur First, McKinsey, IBM, Onefinestay, Farfetch & Jack Wills. Get a feel for what we're about through our TV Advert, LinkedIn or Instagram and check out our job openings below.